The bitter truth about chocolate was brought home to me by this video.. The video I am about to share with you now! This video makes my blood boil! Chocolate is one of the healthiest foods on earth-especially if it is the dark one that has not been adulterated. With this video, we've run out of excuses. In fact, I was physically sick!! 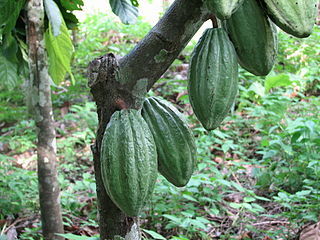 The chocolate manufacturers signed a vaunted protocol agreement in 2001. That meant they knew it was going on! But notice how they gave themselves 7 years, BEFORE anyone needed to comply! That agreement did not kick in until 2008! So for 7 years after the so called historic agreement, the farmers could still exploit children.. In spite of that agreement, this evil still goes on! Could you see the fear and desperation in the faces of these children? What hope do these children have? What future can they look forward to? How would you feel IF these are YOUR children? I challenge you to direct that outrage into action! IF it's found that European children are exploited the way these African children are, that it would take as long as seven weeks to stop it? So while the West munches on this delicious indulgence, in between sips of champagne, desperate mothers in Mali and Ivory Coast cry for their children! But maybe we are NOT guilty about this bitter truth about chocolate yesterday..
Am I asking you to swear off Chocolate? I am asking you to get in touch with these chocolate manufacturers, let them know, you know what is going on. And demand they do something-immediately! And these in International court! I am not a lawyer but my understanding is that under international law.. But they do-and encourage it. How else are you going to pay 1 Euro for a kilo of cocoa, but for slave labor? Slavery comes back to Africa! Slavery has come back to Africa! This bitter truth is bitter alright..
To those who have a conscience, that is! The reason I pull some of the discussion to this page is because Videos-especially Youtube videos, do not play well on Facebook.